Profits have long trumped all in the business world - for decades, wages have stagnated and product quality has declined, while profit margins rose. Stockholders fiddled while the economy burned. Today, with easy accessibility of the web and social media to shine a light on bad policy, businesses with a shareholder-only agenda are starting to feel the consequences. 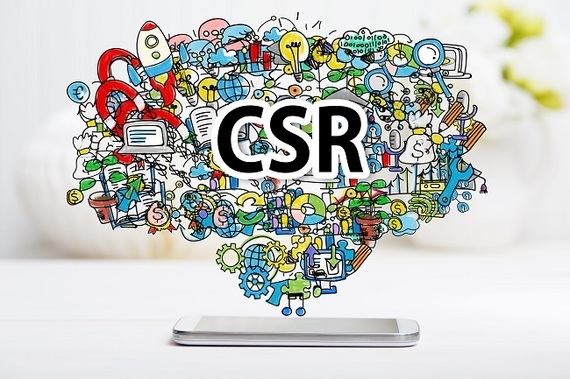 Companies with social conscience are on the rise, and tuned-in consumers are driving the trend. Companies like houshold goods retailer Costco have commitment to paying employees a livable wage baked right into their company culture. Riding on the buzz fueled by social media, the bulk retailer has surpassed Wal-Mart's profits, an obvious indicator that ethical consumerism is on the rise. For some companies, the corporate culture is all about giving back by getting involved in local or global charity initiatives. Adapting to changes in the way consumers choose companies they want to do business with led to companies of all sizes embracing a more charitable approach. Charity partnerships are not only good for business, they inspire a happier, more engaged workforce. People like working for a company they can be proud of. Nextiva, a cloud communications company, is a solid example of the many reasons that business owners should strongly consider getting involved in their local community. The company's charitable organization, Nextiva Cares, has gotten involved in a wide variety of local and national causes through sponsorships, including the creation of a local Little Free Library and a notable donation to the Mayo Clinic. One of the most impressive things about their approach is the diversity of their charitable contributions. From participating in the Uber Kitten campaign, to raising money for Phoenix Children's Hospital, to donating gifts to Toys for Tots, the company always has something going on. For maximum engagement, when choosing initiatives to get behind, the management team includes the personal interests and causes of its employees. According to Glassdoor, focusing on local charity events has made a big difference in employee satisfaction. Nextiva has a four-star rating and a CEO approval rating of 87 percent. To put this into perspective, Wal-Mart's CEO approval rating is only 64 percent. Meanwhile, Costco's CEO has achieved a 92 percent, which further highlights how important it is to develop a people-first company culture. In a world increasingly leaning toward ethical consumerism, it is more necessary than ever before for businesses to set themselves apart with socially responsible branding. As companies begin to embrace this more wholeheartedly with quality customer service, charitable giving, and fairer wages and employee perks, the entire world will benefit.